HowNow got the pleasure and the joy of being able to interview Robert Caruso. He has been recognised on the Forbes top 40 list of social media marketers. He is an incredibly successful digital marketer and was named the 57th top digital marketer in 2016. 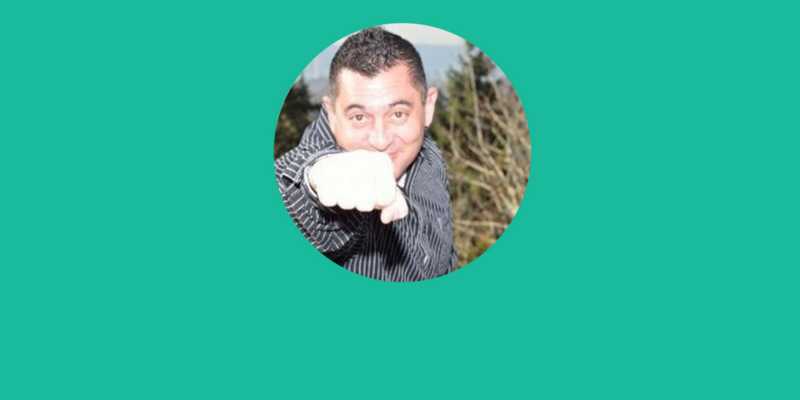 Robert is a partner at Engage and helps small and medium sized businesses deliver effective digital marketing and make a lasting impression as well as achieving fantastic results online. If you want to hear some of his great advice for your business and discover more about his journey, then keep reading! So, tell us a bit about you and what you do? We design and execute integrated digital marketing programs for clients around the world. We take a combined approach for our clients marketing online to ensure that they have a presence everywhere that they need to be, consistently developed and distributed content and are found by their target audience. How did your journey start in becoming a successful a social media and digital marketing advisor? Well, that’s an interesting question because I wouldn’t call what we do being advisors. What I mean is that we don’t advise clients on what and how they need to do their marketing; we professionally do their marketing for them. Along with that of course we advise on connected business elements that impact how well the marketing will integrate into their business practices though. So changing the question just a bit, we became successful managing clients complete online presence by doing it and doing it a lot. Over decades of building effective digital strategies for various B2B and B2C industries and executing them, you tend to get good at it. Because our approach focuses on research and a lot of it, we get to the root questions and answers that our clients customers have and need. Knowing that data can make everything you do online much more effective. What was one of the biggest challenges you faced on your journey and how did you overcome it? The one word answer is “change”. Digital marketing is constantly changing and evolving. So, just as we do a lot of research for our clients, we are constantly researching and learning to keep up with the continual changes that affect the various components, platforms and tactics that we deploy. To be effective in integrated digital marketing you have stay on top of the latest trends and changes. That requires a considerable amount of reading and learning. What worked last week may not work tomorrow, so you need to know why. That can be an incredible struggle at times. What advice would you give to a small business wanting to grow its social media presence and engagement on twitter? My advice would be; “know what you are doing and why you are doing it”. If you don’t, you’re going to be on a treadmill and getting nowhere fast. Most businesses didn’t start because they wanted to become experts at social media or digital marketing. They started because they have a passion for something and wanted to stop working for someone else in order to pursue it. So, if you are going to be successful with marketing, you either have to learn to be a professional at every component of it, or you are going to have to hire professionals to execute it for you. There’s no in between anymore. What 3 things would you say are important for a digital marketing strategy? Know the problem you solve for your customer, and that is truly a big enough problem. Know exactly WHO your target customer is in detail. Know what drives that target customer online. Is there any key metrics that companies should be measuring on twitter? Twitter is one tiny piece of a huge 3,000 piece puzzle. So this question is different for every single business, depending on their target audience, how long they’ve been on Twitter, how targeted their following is and many other factors. There is no one size fits all for everyone on Twitter, search or any other part of digital marketing component. You can’t cookie cutter digital marketing and be successful. But if you had to pick one single metric, focus on driving action. Things like clicks to your content, landing pages and website. What is the most common mistake small businesses make when marketing to B2B? Messaging. If your message isn’t clear and it doesn’t resonate with the issues and needs of your target audience, everything else you do will struggle.